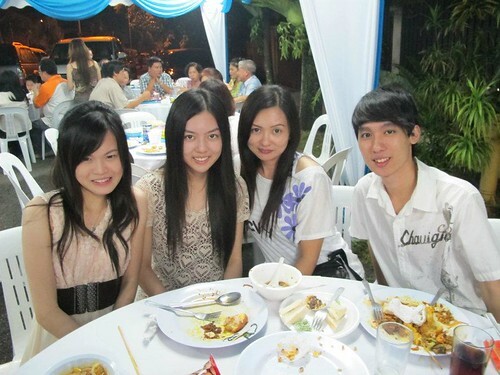 Kelly invited my family to her house for a Christmas dinner just like last year :D Read it here. Except this year, we haven't meet each other for months since I left. I miss this babe so much! I used to go shopping with her all the time. She's such a great shopping companion and great to hang out with! 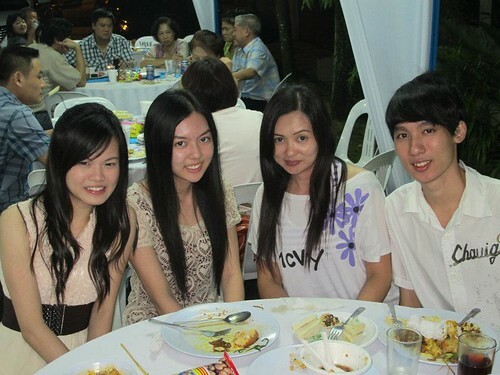 So that's Kelly on the most left, then me, my mom and my elder brother. 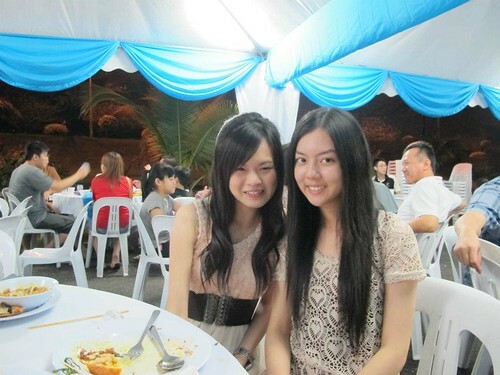 Kelly and I :) Oh my hair is so long right now. I stepped on my hair when I climbed on the bed and when I sit on the floor, my hair is touching the floor. Maybe I should look into taking some classes from a cosmetology school to inspire me for a beautiful new look for 2012. I'm thinking of curling my hair. I always had straight hair and same hairstyle since I was in high school. Am thinking of changing new hairstyle for 2012. Wanna be pretty if the world ends wtf.